Since I order from Milk & Eggs online grocery delivery so frequently, I love to always add in a few new items each time I shop to discover new favorites. Since the food from Milk & Eggs comes from local vendors, the food is always incredibly fresh. Plus, there’s always something new to taste and discover, whether it’s a new type of produce I haven’t ordered from Milk & Eggs before, or a new vegan dessert. I always love to try new things along with my regular favorites. I thought it would be fun starting this month to do a monthly round-up of my top Milk & Eggs grocery favorites. 5. Delicious, Crisp and Juicy Fruit! During this time of year, where the weather is beginning to get a little warmer, I love to enjoy a good fruit salad. It’s just perfect for breakfast, snack or lunch. My favorite fruits to get are bananas, pineapple, and I LOVE the honeycrisp apples from Milk & Eggs. They’re massive (they could even be split among two people) and incredibly juicy. The berries I get from Milk & Eggs always impress me – I regularly order strawberries and blackberries, and they’re always big, bright, juicy and sweet. I’ve never had a mushy or sour tasting berry from them. I love to have these on top of yogurt for breakfast or smoothies. 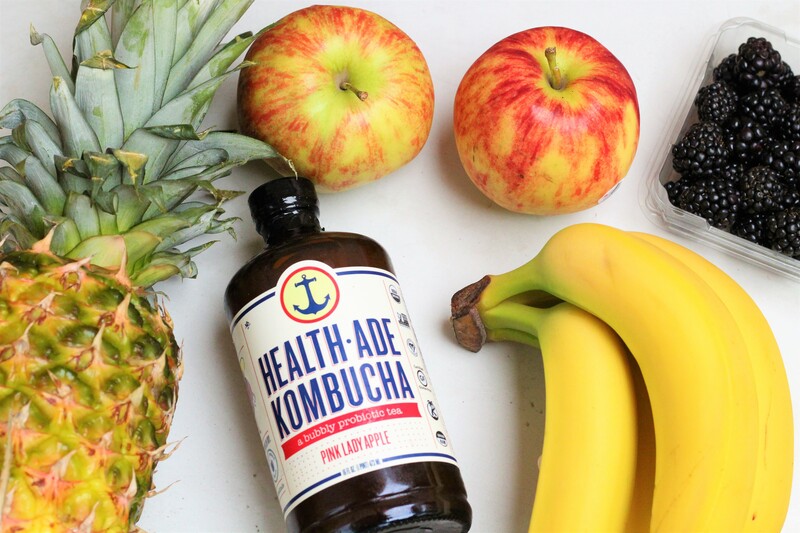 They have a wide variety of Health Aide Kombucha flavors on Milk & Eggs, so it’s fun to order and try out new flavors. My favorite in particular I tried recently was the pink lady apple kombucha, which kind of tasted like a virgin glass of rosé. The Brothers products on Milk & Eggs never fail to impress. The yogurts are amazingly creamy, the hummus also has a great texture. My current favorite Brothers products are there thick, crunchy pita chips. They have a nice, lightly salty taste! Getting Toddlers to Eat Whole Fruits & Veggies – With Once Upon a Farm!